I’ve noticed that when a client experiences profound relief of painful symptoms he or she frequently shares the success story with colleagues, family and friends. The fact that they’ve overcome a mental or physical obstacle naturally and safely is a revelation to them. And as they say, once you’ve seen the light, there’s no turning away. Simply put, these clients want to help others to achieve the same type of relief they’re grateful to have found. Animal companions or pets obviously can’t be reasoned with like human counterparts. Their care and well-being is in our hands. For those interested in alternative, complementary and preventive medicine, this can be a challenging proposition. Supplements and therapies that are suitable for humans aren’t always appropriate for other species. Another source of confusion and frustration is that progressive, naturopathic veterinarians aren’t always easy to find and/or are very expensive. This is yet another reason why it’s vital that we inform ourselves about all of the viable options available to us and those we care about. One of the most welcome details about the information cited in the previous paragraph is that it was all published in respectable, peer-reviewed veterinary journals. One could very easily print out this column or the research abstracts and bring them to the next vet visit. They would likely be received with an open mind. But if you decide to share data with a physician or vet, it’s important that you don’t just offer information that support your position. So-called negative findings ought to be shared as well, when appropriate. This principle is applicable in the case of fish oil and canine arthritis. Many years ago I used to sell magnetic collars for arthritis for pets, mostly dogs and cats which worked great. In one instance a lame duck was cured by wearing a magnetic collar on its leg! Interesting, Liverock. Thanks for sharing that. Lots of interesting research going on about magnets re: transcranial magnetic stimulation. A different application but fascinating nonetheless. I’ve been using salmon oil for sometime now with my dogs. I have one that has dry skin in the winter. The salmon oil really helps. Thanks for sharing that, Rick. I found a product called Mega red at Walgreens online with all three ingrediants. My 11 year old pug has been having “trash” in his urine, crystals and such. In addition, his back is injured from a slip over a year ago and his arthritis is very painful I am currently giving him bufferin, with dr orders and tagamet to prevent upset tummy. Will this mega red be a good dosage? I suggest doing two things: Ask your vet if there’s any conflict with adding krill oil to your pug’s current regimen. The last thing any of us want is an unexpected interaction. As an example, caution is urged when combining fish or krill with anticoagulant medications. Aspirin (Bufferin) is known to “thin the blood”. If your vet gives you the go ahead, I’d consider adding some additional astaxanthin to the mix. Mega Red contains only a small quantity of astaxanthin. Other krill oil products contain higher levels. Separate astaxanthin supplements are also available online and at health food stores and can be added to the Mega Red. Clinical and mycological evaluation of an herbal antifungal formulation in canine Malassezia dermatitis. Nardoni S1, Mugnaini L2, Pistelli L3, Leonardi M3, Sanna V2, Perrucci S2, Pisseri F4, Mancianti F2. Malassezia pachydermatis is a common cause of more widespread dermatitis in dogs (CMD). Recurrences are common, and this disorder can be very troubling for both dogs and for the pet owner. The treatment of 20 dogs affected by dermatitis due to M. pachydermatis, with Malacalm®, a commercially available mixture consisting of essential oils (Citrus aurantium 1%, Lavandula officinalis 1%, Origanum vulgare 0.5%, Origanum majorana 0.5%, Mentha piperita 0.5% and Helichrysum italicum var. italicum 0.5%, in sweet almond oil and coconut oil) is reported. The effectiveness of the whole mixture, of component essential oils and of their more represented compounds against clinical isolates was evaluated by a microdilution test. Twenty animals were topically administered the mixture twice daily for 1 month. Ten animals were treated with a conventional therapy based on ketoconazole 10mg/kg/day and chlorhexidine 2% twice a week for 3 weeks. At the end of both treatments animals significantly improved their clinical status. Adverse effects were never noticed. Follow-up visit performed on day 180th allowed to observe a recurrence of clinical signs in all the subjects treated conventionally, while not significant clinical changes were referred in dogs treated with Malacalm®. The overall MIC value of Malacalm® was 0.3%. O. vulgare showed the lowest minimum inhibitory concentrations (MIC), being active at 0.8%, followed by M. piperita (1%), O. majorana (1.3%), C. aurantium (2%) and L. officinalis (4%) while H. italicum did not yield any antimycotic effect up to 10%. Active major compounds were thymol, carvacrol, p-cymene, 1,8-cineol, limonene and menthol. The phytotherapic treatment achieved a good clinical outcome, and no recurrence of skin disorders on day 180th was recorded. This herbal remedium appeared to be a safe tool for limiting recurrences of CMD. Res Vet Sci. 2015 Jan 22. Moderate dietary supplementation with vitamin E enhances lymphocyte functionality in the adult cat. This study aimed to determine the effects of supplemental Vit E and/or Se on selected parameters of the immune system of the cat. Nine diets were fed in a 3 × 3 factorial design with no supplementation (control (C)); and either moderate (M); or high (H) levels of Vit E (0, 225 or 450 mg/kg DM diet) and/or Se (0, 2 or 10 mg/kg DM diet) added to a complete and balanced basal diet. After 28 days of feeding, enhanced lymphocyte proliferative responses to Concanavalin A and phytohaemagglutinin were observed (P < 0.05) in cats fed diets containing supplemental Vit E, irrespective of whether they also contained Se. Cats in the MVitE, HVitE, MVitE + MSe, HVitE + MSe, and HVitE + HSe groups all showed enhancement of phagocytic activity compared to control animals (P < 0.001). Our results indicate that a supplemental level of 225 mg/kg DM diet Vit E appears to have beneficial effects on immune function in the cat. Acta Vet Scand. 2014 Oct 4;56(1):66. A treatment study of canine symmetrical onychomadesis (symmetrical lupoid onychodystrophy) comparing fish oil and cyclosporine supplementation in addition to a diet rich in omega-3 fatty acids. BACKGROUND: Treatment of symmetrical onychomadesis (symmetrical lupoid onychodystrophy) is a challenging task for dermatologists. The acute phase is characterized by sloughing of claw plates and loose claws have to be removed and secondary infections treated. The goal of long-term treatment is to allow claws to re-grow with normal quality and to achieve life-long lack of recurrence. The aim of this randomized treatment trial was to see if adding fish oil or cyclosporine to a diet rich in omega-3 could improve the treatment outcome of symmetrical onychomadesis in Gordon and English setters. All dogs were fed Eukanuba Veterinary Diets Dermatosis® exclusively during the six month treatment trial. The treatment outcome was measured as the change in number of healthy claws during treatment, as well as the long-term effect on hunting ability and recurrence of onychomadesis. The hypothesis was that cyclosporine provides a stronger and different immune modulating property than fish oil and therefore would give a better treatment outcome in dogs with symmetrical onychomadesis eating a diet rich in omega-3 fatty acids. RESULTS: Six Gordon setters and one English setter were treated with 5 mg/kg cyclosporine once daily for six months and seven Gordon setters were treated with 10 ml Dr Baddaky fish oil® once daily for six months. All dogs were evaluated every month and the numbers of healthy claws were recorded. CONCLUSION: Cyclosporine and fish oil appeared to be equally effective in treating symmetrical onychomadesis when the dog is fed a diet high in omega-3. J Anim Sci. 2014 Sep;92(9):3781-91. doi: 10.2527/jas.2014-7789. Epub 2014 Jul 8. Natural pet food: a review of natural diets and their impact on canine and feline physiology. The purpose of this review is to clarify the definition of “natural” as it pertains to commercial pet food and to summarize the scientific findings related to natural ingredients in pet foods and natural diets on the impact of pet health and physiology. The term “natural,” when used to market commercial pet foods or pet food ingredients in the United States, has been defined by the Association of American Feed Control Officials and requires, at minimum, that the pet food be preserved with natural preservatives. However, pet owners may consider natural as something different than the regulatory definition. The natural pet food trend has focused on the inclusion of whole ingredients, including meats, fruits, and vegetables; avoiding ingredients perceived as heavily processed, including refined grains, fiber sources, and byproducts; and feeding according to ancestral or instinctual nutritional philosophies. Current scientific evidence supporting nutritional benefits of natural pet food products is limited to evaluations of dietary macronutrient profiles, fractionation of ingredients, and the processing of ingredients and final product. Domestic cats select a macronutrient profile (52% of ME from protein) similar to the diet of wild cats. Dogs have evolved much differently in their ability to metabolize carbohydrates and select a diet lower in protein (30% of ME from protein) than the diet of wild wolves. The inclusion of whole food ingredients in natural pet foods as opposed to fractionated ingredients may result in higher nutrient concentrations, including phytonutrients. Additionally, the processing of commercial pet food can impact digestibility, nutrient bioavailability, and safety, which are particularly important considerations with new product formats in the natural pet food category. Future opportunities exist to better understand the effect of natural diets on health and nutrition outcomes and to better integrate sustainable practices in the production of natural pet foods. Auton Autacoid Pharmacol. 2015 Mar 30. This study was designed to evaluate the effects of oral administration of Echinacea hydroethanolic extract on the dog’s immune system. The study was performed on 14 dogs that were referred to the veterinary clinic. These dogs were randomly allocated to two equal treatment groups. The first group received 1 ml of 5% Echinacea hydroethanolic extract two times a day for 2 months, and the second group received a placebo (water). To do haematology and immunology tests, the dogs were bled on days 0, 30 and 60. Blood tests, including packed cell volume (PCV), haemoglobin (Hb), red blood cell count (RBC), white blood cell count (WBC), counting neutrophils (Nut), lymphocytes (Lym), monocytes (Mon), eosinophils (Eos), basophils (Baso) and B cell, were performed. Furthermore, safety factor IgM and per cent of phagocytosis and phagocyte were measured from the blood sample. The results showed that in the group which received Echinacea PCV, Hb, RBC count, WBC count, Lym, Nut, the per cent of phagocytosis and IgM significantly increased (P < 0.05). Moreover, positive effects of Echinacea plant on the immune system were observed. There was a significant change in HTC, RBC, Hb over time in the group that received Echinacea and the per cent of phagocytosis and IgM (P < 0.05). The study establishes that these extracts might have appreciable immunostimulatory activity. However, further studies are required to confirm these findings. Vet Dermatol. 2015 Jun 30. Complementary effect of oral administration of Lactobacillus paracasei K71 on canine atopic dermatitis. 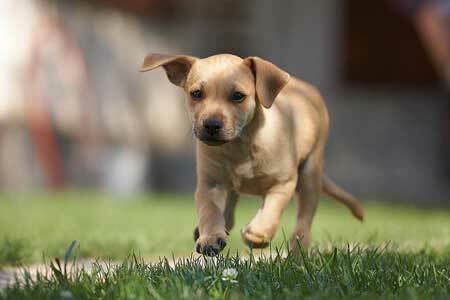 BACKGROUND: Atopic dermatitis is a common skin disease encountered in dogs. Glucocorticoids are commonly recommended for symptomatic therapy and well-tolerated adjunctive therapies may help to reduce the necessary dose and associated risks of chronic glucocorticoid use. HYPOTHESIS/OBJECTIVES: The purpose of this study was to evaluate the complementary efficacy of oral administration of Lactobacillus paracasei K71 in canine atopic dermatitis (cAD). ANIMALS: Forty one dogs with mild to moderate cAD were recruited by19 animal hospitals. METHODS: Dogs were assigned to receive either the investigational agent (K71 group; n = 20) or cetirizine hydrochloride (control group; n = 21). Previously prescribed medications were allowed to be continued during the 12 week trial. Dogs were assessed by the investigators using the cAD Extent and Severity Index (CADESI) and a medication scoring system. Pet owners assessed their dogs using a visual analog scale (VAS) and pruritus scores. RESULTS: The CADESI scores, VAS and pruritus scores in both groups at 12 weeks were improved compared with their baselines. The CADESI and pruritus scores in the K71 group were slightly lower than those in the control group and the reduction of medication scores in the K71 group was significantly lower compared with the control group (P < 0.05; Student’s t-test). CONCLUSIONS AND CLINICAL IMPORTANCE: Oral administration of K71 can be useful in dogs with cAD as a complementary therapy, by providing a steroid-sparing effect. J Am Vet Med Assoc. 2015 Aug 15;247(4):375-84. Effect of feeding a weight loss food beyond a caloric restriction period on body composition and resistance to weight gain in dogs. Objective – To determine the effect of feeding a food with coconut oil and supplemental l-carnitine, lipoic acid, lysine, leucine, and fiber on weight loss and maintenance in dogs. Design – Prospective clinical study Animals-50 overweight dogs. Procedures-The study consisted of 2 trials. During trial 1, 30 dogs were allocated to 3 groups (10 dogs/group) to be fed a dry maintenance dog food to maintain body weight (group 1) or a dry test food at the same amount on a mass (group 2) or energy (group 3) basis as group 1. During trial 2, each of 20 dogs was fed the test food and caloric intake was adjusted to maintain a weight loss rate of 1% to 2%/wk (weight loss phase). Next, each dog was fed the test food in an amount calculated to maintain the body weight achieved at the end of the weight loss phase (weight maintenance phase). Dogs were weighed and underwent dual-energy x-ray absorptiometry monthly. Metabolomic data were determined before (baseline) and after each phase. Results – During trial 1, dogs in groups 2 and 3 lost significantly more weight than did those in group 1. During trial 2, dogs lost a significant amount of body weight and fat mass but retained lean body mass (LBM) during the weight loss phase and continued to lose body fat but gained LBM during the weight maintenance phase. Evaluation of metabolomic data suggested that fat metabolism and LBM retention were improved from baseline for dogs fed the test food. Conclusions and Clinical Relevance – Results suggested that feeding overweight dogs the test food caused weight loss and improvements in body condition during the weight-maintenance phase, possibly because the food composition improved energy metabolism. J Nutr Sci. 2016 Jul 29;5:e31. Oral vitamin D supplementation at five times the recommended allowance marginally affects serum 25-hydroxyvitamin D concentrations in dogs. Little is known regarding optimal vitamin D status in adult dogs. To date no studies on vitamin D supplementation for improving vitamin D status have been reported for adult dogs. The aims of this study were to identify dogs with low vitamin D status and evaluate an oral dosage of cholecalciferol (D3) for effectiveness in increasing vitamin D status. For this, forty-six privately owned dogs were evaluated. Of the dogs, thirty-three (or 71·7 %) had serum 25-hydroxyvitamin D (25(OH)D) concentrations less than 100 ng/ml, a minimum previously suggested for vitamin D sufficiency in dogs. Subsequently, thirteen dogs were enrolled in a supplementation trial. Dogs were given either a D3 supplement (n 7; 2·3 µg/kg(0·75)) or olive oil placebo (n 6) daily with food. Serum concentrations of 25(OH)D were determined at weeks 1, 3 and 6, and at the trial end. Only at the trial end (weeks 9-10) was 25(OH)D significantly greater (P = 0·05) in supplemented v. placebo dogs. Serum concentrations of 24R,25-dihydroxycholecalciferol determined at the trial end were about 40 % of that of 25(OH)D3 and not significantly different between the groups. Concentrations of parathyroid hormone, ionised Ca, P and creatinine measured in initial and final serum samples indicated supplementation caused no toxicity. We conclude that vitamin D3 supplementation at a dosage near the National Research Council recommended safe-upper limit was not effective for rapidly raising serum 25(OH)D concentrations in healthy, adult dogs. Further work is needed in evaluating the metabolism of orally administered D3 in dogs before dosing recommendations can be made. Vet Rec. 2016 Nov 24. Effects in dogs with behavioural disorders of a commercial nutraceutical diet on stress and neuroendocrine parameters. The well-being of dogs can be affected by changes in human lifestyle, eating habits and increased stressors that lead to behavioural disorders including fear, hyperactivity and anxiety, followed by negative affective moods and poor welfare. This randomised, controlled clinical evaluation involved 69 dogs, 38 males and 31 females, of different breeds, with behavioural disorders related to anxiety and chronic stress. They were fed a control diet or a nutraceutical diet (ND group) for 45 days. Neuroendocrine (serotonin, dopamine, β-endorphins, noradrenaline and cortisol) and stress (derivatives of reactive oxygen metabolites (dROMs) and biological antioxidant potential (BAP)) parameters related to behavioural disorders were evaluated at the beginning and end of the study period. Results showed a significant increase in serotonin, dopamine and β-endorphins plasma concentrations (*P<0.05, *P<0.05 and **P<0.01, respectively) and a significant decrease in noradrenaline and cortisol plasma concentrations in the ND group (*P<0.05). dROMs significantly decreased in the ND group (*P<0.05) while BAP was not affected. This study demonstrated for the first time that a specific diet significantly and positively affected neuroendocrine parameters and dROMs. These results open significant perspectives concerning the use of diet and nutraceuticals in the treatment of behavioural disorders. J Vet Intern Med. 2017 Feb 10. BACKGROUND: Diarrhea is the most frequent morbidity affecting kenneled dogs in animal shelters. Diarrhea impacts animal welfare and the finances of the shelter as they must treat, clean, and house affected animals until recovered. HYPOTHESIS/OBJECTIVES: Supplementing dogs entering an animal shelter with a probiotic-prebiotic, known as a synbiotic, will decrease the incidence of diarrhea. ANIMALS: Seven hundred and seventy-three dogs entering an animal shelter in the United Kingdom. METHODS: A prospective double-blind, randomized, placebo-controlled trial. RESULTS: Statistical difference was found between the groups across 3 measures of diarrhea incidence. First, the mean percentage of scored days per dog that were scored as diarrhea throughout their stay was 2.0% in the synbiotic group and 3.2% in the placebo group (P = .0022). Second, the occurrence of diarrhea within the first 14 days’ stay was 18.8% in the synbiotic product group and 27.2% in the placebo group (P = .0008). Third, the occurrence of ≥2 consecutive days of diarrhea within the first 14 days’ stay was 4.6% in the synbiotic product group and 8.0% in the placebo group (P = .0300). CONCLUSIONS AND CLINICAL IMPORTANCE: Supplementing healthy dogs entering an animal shelter with a synbiotic supplement significantly decreased the incidence of diarrhea in this trial. Animal shelters can use synbiotic supplements to improve animal welfare and decrease costs involved in cleaning and housing animals as well as potentially decreasing veterinary intervention. J Nutr Sci. 2017 Jul 12;6:e35. Effects of dietary supplementation with a mixed blueberry and grape extract on working memory in aged beagle dogs. Cellular oxidative damage is thought to be one of the key mechanisms underlying age-related cognitive impairment in dogs. Several nutritional interventions to limit cognitive decline are reported in the literature. To our knowledge, the association of grape and blueberry extracts has never been tested in aged dogs. Our objective was to evaluate the effect of a polyphenol-rich extract from grape and blueberry (PEGB) on oxidative status and cognitive performances in aged dogs. A total of thirty-five beagle dogs (aged 8·0-14·5 years) were fed a basal diet with PEGB at either 0 parts per million (ppm) (n 11; control), 240 ppm (n 12; PEGB1) or 480 ppm (n 12; PEGB2) for 75 d. To investigate the effects of PEGB supplementation on cognition and oxidative status, a delayed non-matching to position (DNMP) test and RT-PCR on genes involved in oxidative stress were evaluated. The dogs fed PEGB1 showed a higher superoxide dismutase mRNA expression compared with dogs fed PEGB2 (P = 0·042) and with the control group (P = 0·014). Moreover, the dogs fed PEGB2 showed higher nuclear factor-like 2 (Nrf2) mRNA expression compared with the dogs fed PEGB1 (P = 0·027). Concerning the DNMP test, the proportion of dogs showing cognitive improvements relative to their baseline level was significantly higher in dogs fed the PEGB, regardless of the dosage, than in dogs receiving no supplementation (P = 0·030). The results obtained in the DNMP test suggested a potential benefit of the PEGB on working memory. However, this hypothesis should be further investigated to confirm this cognitive effect. J Nutr Sci. 2017 Jul 13;6:e36. Nutrient digestibility, hindgut metabolites and antioxidant status of dogs supplemented with pomegranate peel extract. The present study assessed the effect of dietary supplementation of pomegranate peel (methanolic) extract (PPE) on the nutrient digestibility, faecal fermentative metabolites and antioxidant status of dogs. Six medium-sized dogs of mixed breeds were allocated to two groups in a replicated cross-over design and fed a basal diet with and without supplementation of PPE at 50 mg/kg body weight. Each of the experimental periods consisted of 30 d, with a 21 d washout period in between. Results indicated that PPE supplementation led to no significant changes in nutrient digestibility except a trend of improvement (P = 0·070) in crude fibre digestibility. PPE supplementation significantly (P < 0·001) influenced faecal pH, ammonia and lactate production, indicative of positive effects of PPE polyphenols. PPE supplementation further increased faecal SCFA concentration accompanied by a reduction (P < 0·01) in branched-chain fatty acids. PPE supplementation also improved (P < 0·05) indices of erythrocytic antioxidants, namely reduced glutathione, catalase, glutathione peroxidase and glutathione S-transferase together with an improvement in lipid peroxidation. Overall, it can be concluded that dietary supplementation with PPE at 50 mg/kg body weight had a positive impact on hindgut fermentation and antioxidant status in dogs, thereby demonstrating its potential as a gut health-promoting nutraceutical. Vet Rec. 2017 Dec 6. Effect of Saccharomyces boulardii in dog with chronic enteropathies: double-blinded, placebo-controlled study. Saccharomyces boulardii is used to treat acute and chronic enteropathies in humans, but to date, no studies have evaluated the use of this yeast in dogs. The current study, a prospective non-randomised, double-blinded, placebo-controlled study, evaluated the effects of S boulardii in healthy dogs and dogs with chronic enteropathies (CE). Four healthy dogs and 20 dogs with CE were included. In healthy dogs, S boulardii was administered for 10 days. Possible short-term adverse effects were recorded, and quantitative stool cultures for yeasts were performed. In dogs with CE, S boulardii or a placebo was administered in addition to standard treatment protocols. Canine Chronic Enteropathy Clinical Activity Index, abdominal ultrasonography, gastroenteroscopy and histology were performed at the time of diagnosis and after 60 days of treatment. In healthy dogs, S boulardii reached a steady state in five days and was completely eliminated on day 4 after administration. No short-term side effects were seen. Clinical activity index, stool frequency, stool consistency and body condition score improved significantly in dogs with CE receiving S boulardii versus the placebo. In conclusion, S boulardii can be safely used in dogs with CE and seems to achieve better control of clinical signs than standard therapy alone. This study focused on the hypothesis that cognitive decline in aged dogs could be attenuated by dietary supplementation with a nutrient blend consisting of antioxidants, B vitamins, fish oil and l-arginine, referred to hereafter as the Brain Protection Blend (BPB). Baseline cognitive assessment before the start of treatment was used to establish cognitively equivalent control (10·464+2·33 kg) and treatment (12·118+3·386 kg) groups of aged dogs between 9·1 and 11·5 years of age and with body condition score of 5. After an initial wash-in period, all dogs were tested over a 6-month period on cognitive test protocols that assessed four phases of a landmark discrimination learning protocol, which assessed a spatial learning skill based on utilisation of external cues, and egocentric discrimination task, which assessed spatial learning based on internal body-centred cues. The BPB-supplemented group showed significantly better performance than the controls on the landmark 1 (P=0·0446) discrimination learning tasks, and on two egocentric discrimination reversal learning tasks (P=0·005 and P=0·01, respectively). The groups did not differ significantly (P>0·10) on the landmark zero discrimination task and the egocentric discrimination learning task. These results suggest beneficial effects are positively linked to task complexity. Many of the nutrients supplemented in the BPB diet were significantly higher in plasma, including arginine, α-tocopherol, DHA and EPA. These results indicate that long-term supplementation with the BPB can have cognition-improving effects and support the use of nutritional strategies in targeting brain ageing-associated risk factors as an intervention to delay cognitive ageing. Front Nutr. 2018 Dec 12;5:127. Cognitive dysfunction syndrome (CDS) is a common condition in senior dogs, which may be analogous to dementia such as Alzheimer’s disease (AD) in people. In humans, AD has been associated with many risk factors such as reduced cerebral glucose metabolism, docosahexaenoic acid (DHA) deficiency, chronic oxidative stress, and chronic inflammation. By targeting some of these risk factors, we have developed two nutritional solutions (medium chain triglyceride, MCT and Brain Protection Blend, BPB) to enhance cognitive function and slow aging-induced cognitive decline. These have been positively evaluated in colony housed senior dogs and cats. The objective of this clinical study was to evaluate the effects of diets with MCTs and the BPB on client-owned dogs with CDS. Participating veterinary clinics screened senior dogs for signs of CDS as determined by a Senior Canine Behavior Questionnaire and a Canine Medical Health Questionnaire. Eighty-seven dogs were randomly enrolled into one of three diet groups with 29 dogs per group: Control, 6.5% MCT oil + BPB (6.5% MCT diet), 9% MCT oil + BPB (9% MCT diet). Diets were fed for a period of 90 days, and each dog’s CDS signs were re-evaluated at day 30 and day 90. All 6 categories of the CDS signs were significantly improved (p <0.05) in the dogs given the 6.5% MCT diet at the end of the 90-day study. Control only improved in 4 out 6 categories. The 9% MCT diet only improved in dogs that accepted the diet. The results from this dog study confirm the benefits of MCT and BPB in managing clinical signs of CDS in dogs. The results support our hypothesis that targeting known risk factors associated with brain aging and AD is able to improve symptoms of CDS in dogs. These data may facilitate the development of similar nutrient blends to manage MCI and AD.